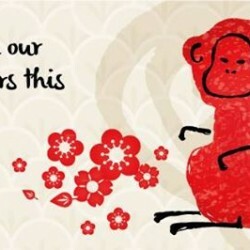 Enjoy and Start your year of the Monkey right with these exclusive MasterCard discounts. Visit here for more details now. Tickets for Russell Peters almost famous world tour 2016 go on sale 12 Dec 2015. Get your tickets through SISTIC at here. 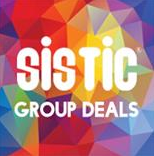 Check out the exciting Group Deals that SISTIC has to offer! Simply purchase tickets with 2 or more pals and stand to enjoy exclusive discounts! 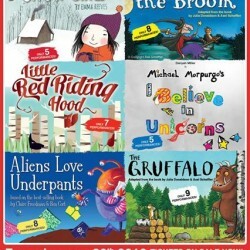 Grab their world class theater for young people Tickets for KIDSFEST. 2016 go on sale on 31 Aug 2015. Get your tickets through SISTIC at here. 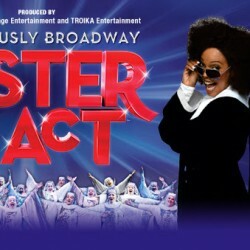 Get this gloriously broadway sister act tickets on sale now! At mastercard exlusive pre-sale! 15% discount for cardholder. The oldest boy band established in 1498 will be performing in Singapore on 14 October 2015! 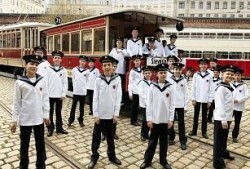 If you enjoy beautiful and pure singing, don’t miss this chance to hear the Vienna Boys’ Choir at our beautiful Esplanade Concert Hall! The tickets are on sale now through Sistic! Bring your child along and enjoy 20% off his/her ticket (aged 5 to 12 years) or enjoy $50 off if you purchase 4 Cat 1 tickets in one transaction (promo till 31 Aug 2015). Immerse yourself in the perfect evening at Singapore Dance Theatre's (SDT) 20th Edition of the annual Ballet Under the Stars. This year, SDT will be presenting two weekends of exquisite choreography by award-winning international choreographers from 12 - 14 June and 19 - 21 June at the Fort Canning Green. 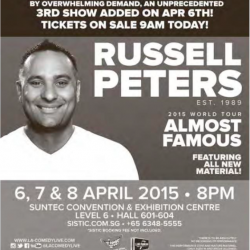 By Overwhelming Demand, An unprecedented Russell Peters 3rd Show Added on Tickets on Sale, from 6, 7 & 8 April 2015, 8pm at Suntec Convention & Exhibition Centre Level 6, Hall 601-604. 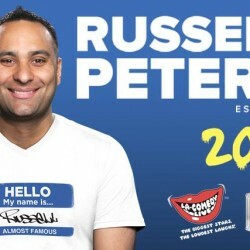 After setting attendance records around the world and completing THE biggest comedy shows ever in Singapore with his Notorious World Tour in 2012 and 2013, comedian RUSSELL PETERS brings his new ALMOST FAMOUS WORLD TOUR to Singapore on April 7, 2015, 8pm at Suntec Singapore Convention & Exhibition Centre, Level 6, Hall 601-604. Exclusively for DBS/POSB MasterCard® Cardmembers, redeem a S$10 SISTIC e-voucher to catch the latest concert, play or visit to the Night Safari or Universal Studios! 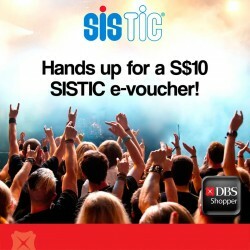 Redeem S$10 SISTIC e-voucher to catch the latest concert, play or even a visit to the Night Safari or Universal Studios! Simply click on the Redeem button on the right to start. You will be required to sign into your SISTIC account. Key in your 16-digit DBS/ POSB MasterCard® Credit or Debit card number and an e-mail with the e-voucher code will be sent to you once your card number has been verified. 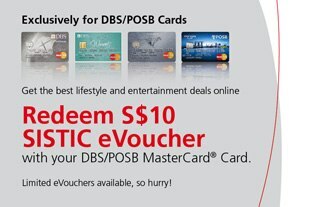 Exclusively for DBS/POSB MasterCard®Cards! Redeem S$10 SISTIC e-voucher to catch the latest concert, play or even a visit to the Night Safari or Universal Studios! Simply click on the Redeem button on the right to start. You will be required to sign into your SISTIC account. If you dont have one, create one easily here. Book your shows online with SISTICS within the campaign periods and use your e-codes at the payment page to enjoy S$10 off your booking.